The PPE Engineering dual exhaust system for the ISF with dual mode mufflers is 100% made in house in Arizona. We make our mufflers from scratch using only high-quality 304 stainless steel. Our dual mode mufflers are switchable at the push of a button allowing you to choose between a loud race exhaust and a more subtle sporty sound with no drone. 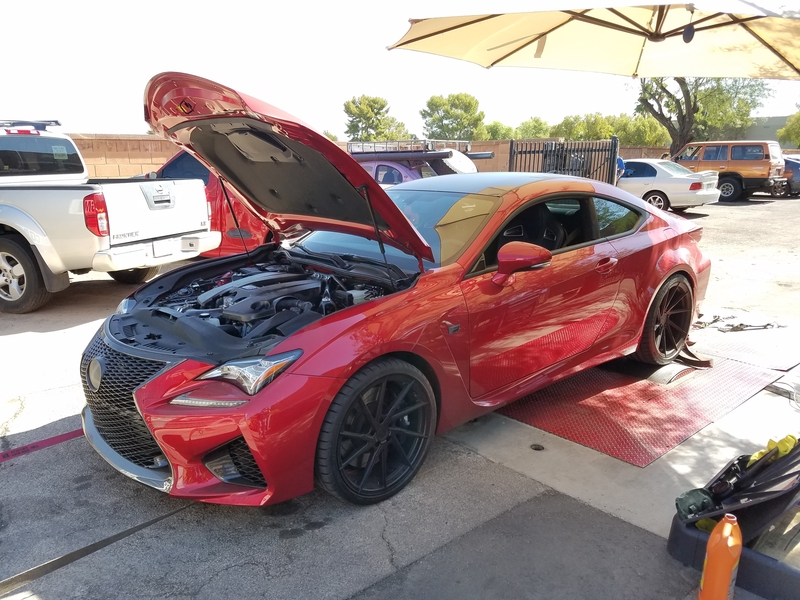 Dyno testing our exhaust with high-flow cats on a bone stock RCF showed a 29 whp gain vs the stock exhaust. Torque gains were 38 ft*lb. High-flow catalytic converters are an option and make our exhausts the only 49 state legal true dual exhaust on the market. The dual mode exhaust can be connected in automatic mode. This allows the computer to open the exhaust flaps when needed under heavy load and close them when cruzing to eliminate drone and keep that Lexus feel.